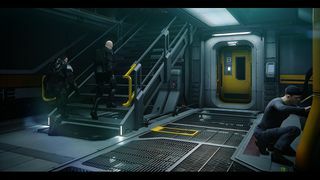 The Aegis Idris-M is a frigate used by the UEE Military. It is used for everything from long duration patrols to scouting dangerous jump points to interdiction. 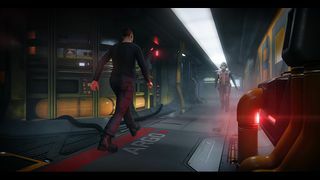 A properly outfitted Idris with an effective crew can serve as a torpedo boat; in rare instances, the Idris has even used its speed and maneuverability advantages to scuttle opposing cruisers. 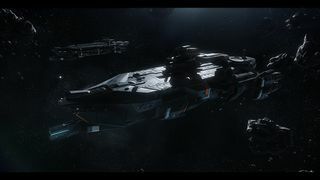 The original Idris corvette is designed by Ryan Church (Freelance Concept Artist) in 2013 along with other contributors include Chris Olivia (Chief Visual Officer), Ben Lesnick (Community Manager), Dave Haddock (Lead Writer), Rob Irving (Lead Designer), Chris Smith (Lead Vehicle Artist), Pete Mackay (Designer), and Chris Roberts. The ship was announced in June 2013. Note: The design brief of Idris dated back to 2013 when Star Citizen is in very early stage and the ship is still considered as a corvette. 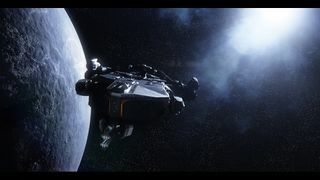 Aim: The Idris Corvette. Going to be cool (go with a slightly retro / older look for this compared to RSI lines). 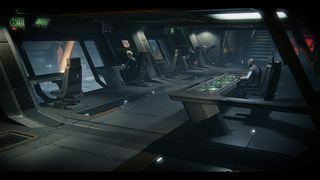 The Idris has room to dock two single-seat fighters: Aurora, 300i or Hornet-level. 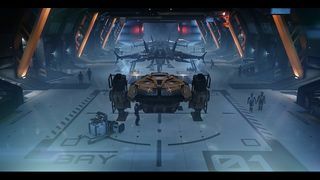 The Idris has dual mount nose, tail, top and bottom turrets and single mount left/right turrets. The Idris is named after the Battle of Idris IV in the First Tevarin War. Traditionally, Idris-class frigates are named after star systems, for example UEES Stanton. For a full gallery, see :Category:Idris-M Images. 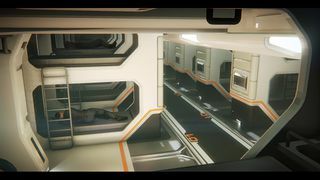 ↑ 3.0 3.1 Ryan Church, David Ladyman and Ben Lesnick, Work in Progress: Idris Initial Design, Jump Point, vol. 2, no. 2, pp. 3, 2014-02. 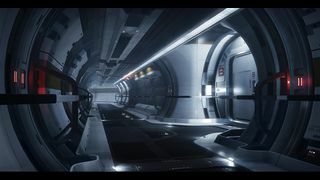 ↑ 5.0 5.1 CGBot, Foundry 42, David Ladyman and Ben Lesnick, Work in Progress: Idris Revision, Jump Point, vol. 2, no. 3, pp. 3, 2014-02.